One of the most versatile frogs ever created by Bass Pro Ish Monroe. The Phat Mat Daddy is designed to be fished over the thickest, nastiest cover and even in open water. 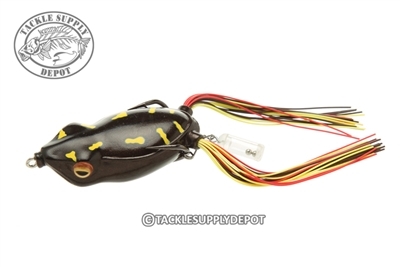 The softness of the plastic and placement of the hook on the top of the bait helps the frog be more weed less, and increases the fish landing percentage. The weight allows the fish to feel the frogs presence on the top of the mat. Ish's Phat Mat Daddy is available in the top frog colors on the market.